If you've ever wanted to trek the Himalayas, a good place to start is in the Shivalik Hills, which is a mountain range of the outer Himalayas. The treks in this area range from easy to moderate+ and are a good way to assess if mountain trekking is right for you. As with any new venture, it helps to be prepared. With that in mind, we have a few tips! Know before you go – read up on the climate and terrain, and look at a good map. You’ll want to trek when the weather is cooperative and you’ll need to know what challenges the terrain might have in store. Go with the best – hire a reliable guide. An experienced guide will make the trek safer and more enjoyable. Shape up – the Shivalik Hills may not be as challenging as Mount Everest, but they still demand a certain level of physical fitness. A good way to get in shape is to walk up and down stairs a few times each day. This will improve your cardiovascular system, as well as strengthen your legs and back. Carry what you need – if you’re going on a short trek, you don’t want to weigh yourself down with a heavy backpack. You’ll need plenty of water, of course, a packed lunch, and some granola bars or dried fruits and nuts. If you’re going on a longer trek, consider hiring someone to carry your tent, sleeping bag and cooking utensils. Be prepared – have a well stocked First Aid kit. You should carry bandages and/or gauze pads and adhesive tape; disinfectant cream; insect repellent; pain reliever; anti-inflammatory; antibiotics and a thermometer. Make sure you've got sun block and a hat, and wear sunglasses. Break in your footwear – whether you prefer hiking boots or sandals, wear them a few times before you start trekking. It’s hard to appreciate the beauties of nature when you’re plagued with blisters. Some experts suggest wearing two pairs of socks to prevent blisters from forming – a thin liner on the inside and a thicker sock worn over it. The thinner socks will absorb sweat and can be rinsed out every night because they’ll dry more quickly than the thicker ones will. There you have it! With a little preparation, you can happily trek the Shivalik Hills and enjoy the wonders of nature. And who knows – it may inspire you to scale greater heights! 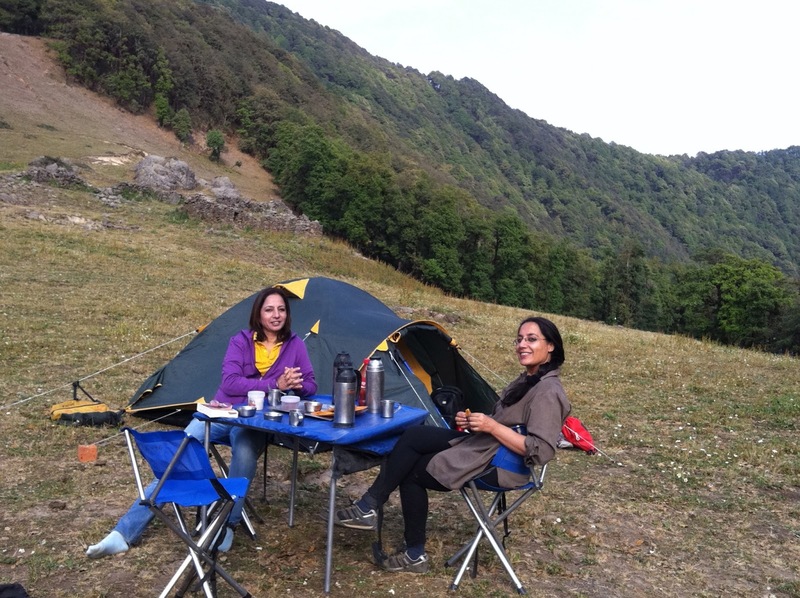 At Himalayan Hideaway, we’re happy to help organise the perfect trek for you. For more details, contact our Delhi office (Phone: +91-11-26852602, 26968169, and e-mail: info@hhindia.com; info@himalayanriverrunners.com).